What a big surprise of “Happy Birthday” song for the baby to celebrate the first birthday the next day! 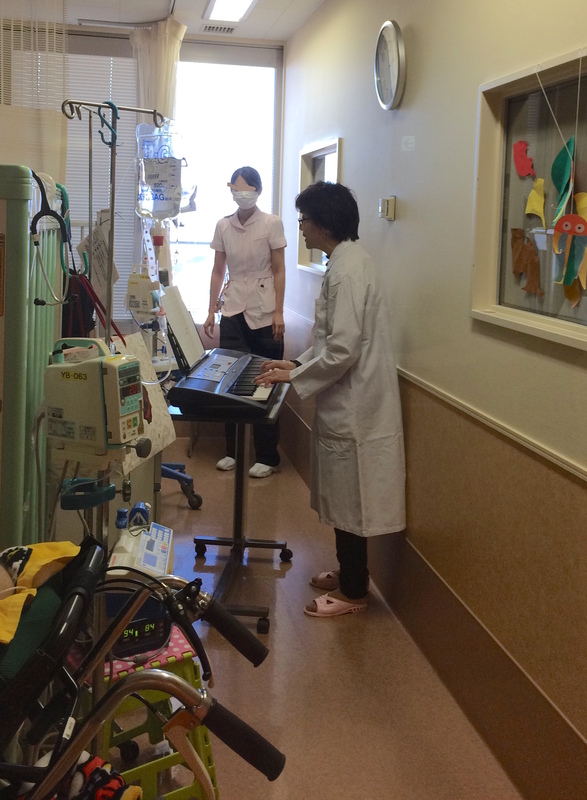 And for the baby boy whose first Christmas is coming soon in the hospital, for his parents and grandmother too, Kazuko-san presented a short live show of Christmas songs. 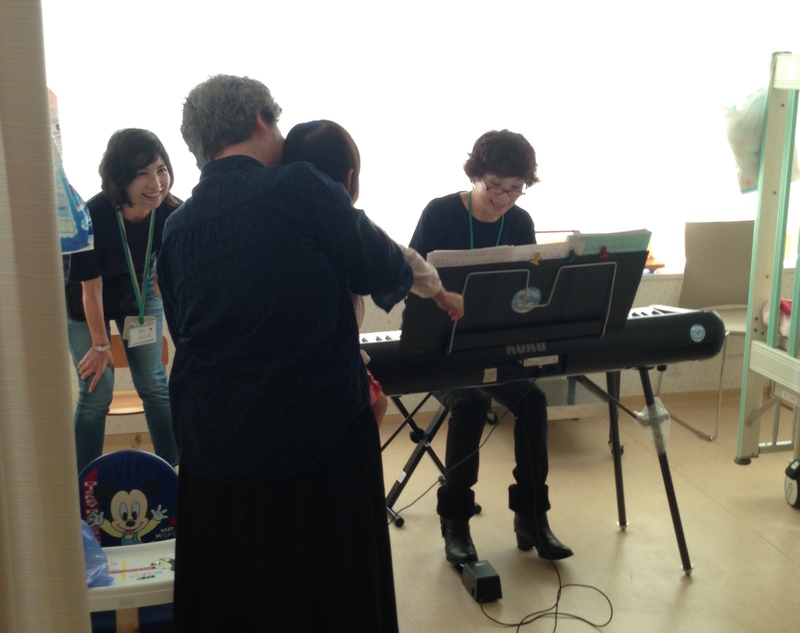 Reluxing time was created by Satoko-san’s tender singing with the guitar playing! Mechanical karakuri paper craft by Hisako-san has several degrees of difficulty. Kids aged from 7 to 15 were joined and everyone chose one(s) they could manage. 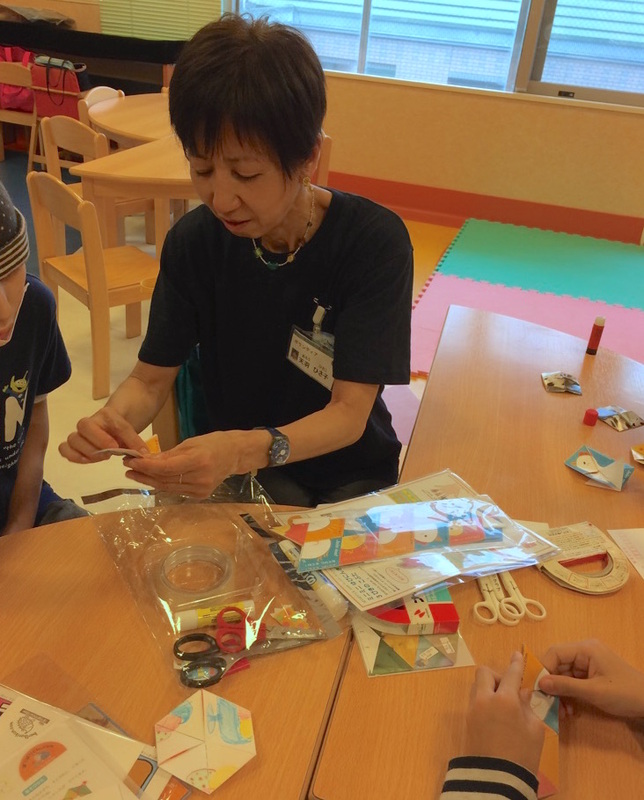 After finishing making some, they played with them, pursued the mechanism and created their own original karakuri craft by drawing their favorite things on them. 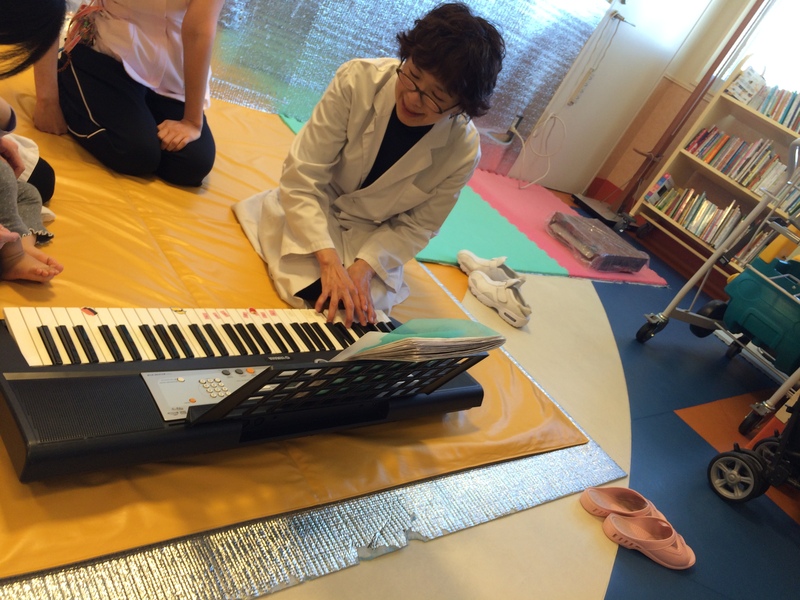 Hisako-san left some material for those obliged to stay in beds and could not appear to the playroom. It was such a unique craft workshop. Collaboration of music and art! 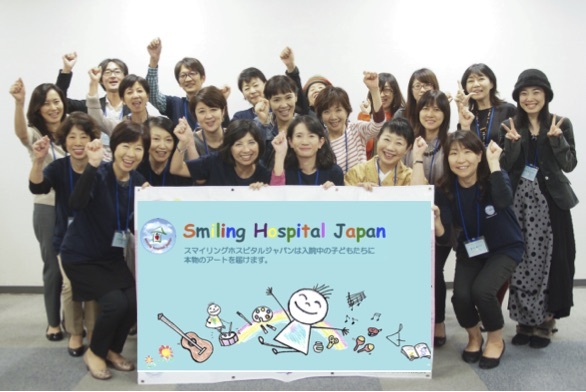 The ward became so lively and smile was on everyone’s face. Let’s do this again! 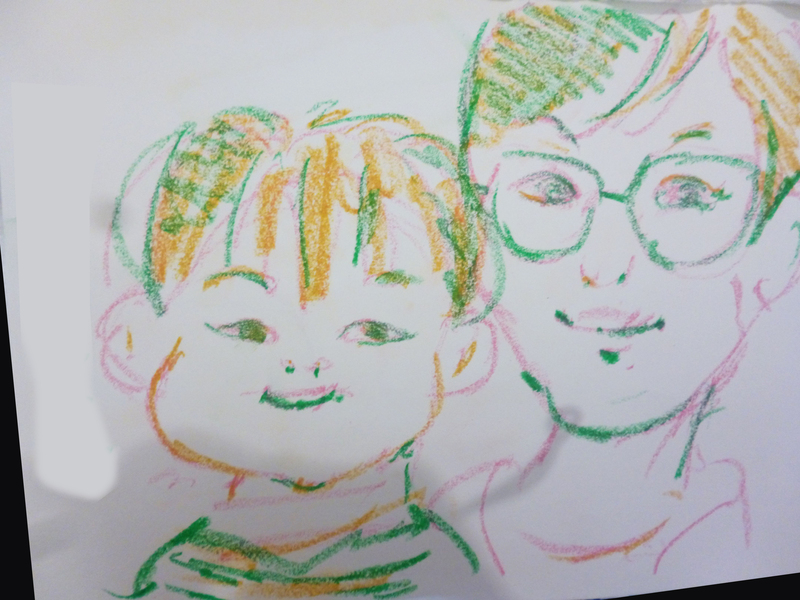 Mari-san keeps getting 1000 fungos of request for drawing kids’ favorite things for coloring, which looks like such a hard training, to see lots of children’s smile! Karakuri trick paper craft designed by Hisako Amo made such an exciting atomosphere. Everyone became absorbed in its wonder and eager to create one for him/herself. 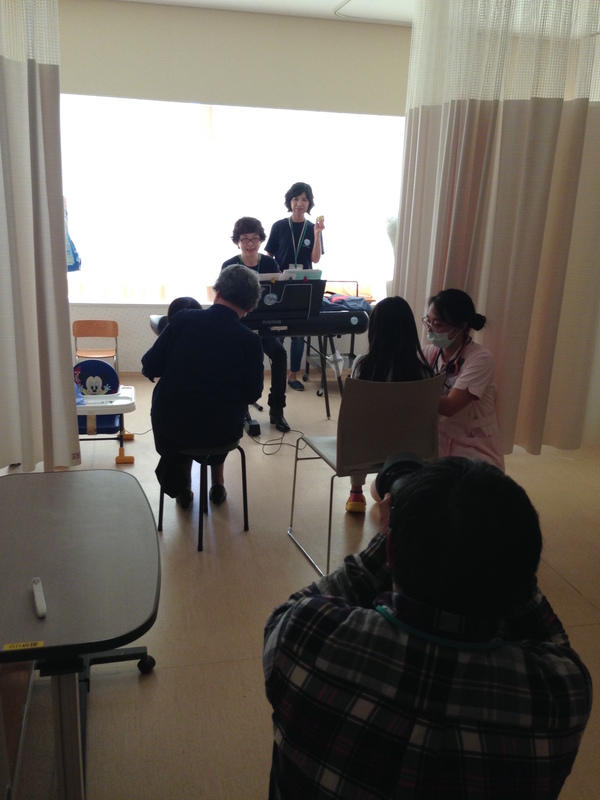 It seemed difficult but they enjoyed challenging looking forward to playing with it. Those staying in their beds got materials so as to make one soon after. Ouma’s project is traveling the world to make the huge art work by children. Anywhere she visits, children there help making the work bigger and bigger. 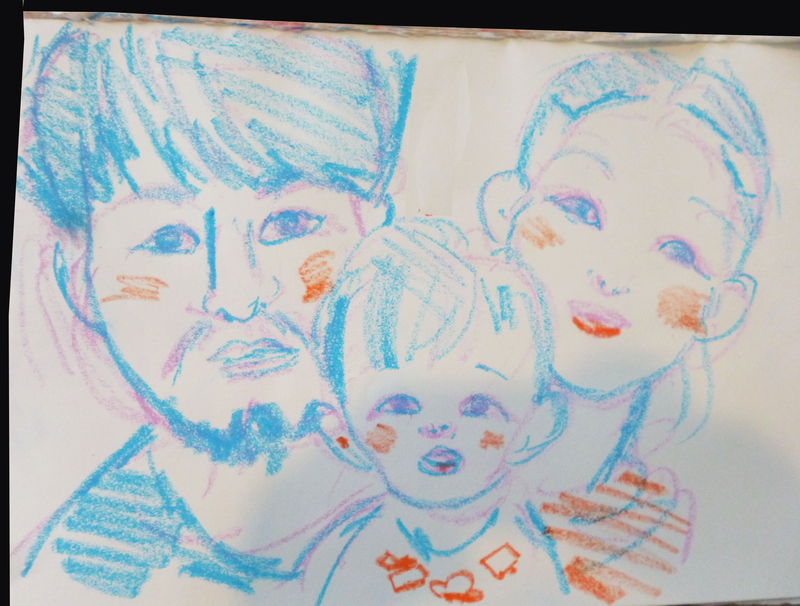 Here in Japan, children in hospitals enjoy drawing and coloring. The one and only art work by lots of children is getting more exciting, huge and beautiful! It will keep growing. So, keep following!